Also, explore a variety of other Samsung Smartphones including the Samsung Galaxy Note 8. With Samsung, you can be sure that you have the very best of technology in your palm. Their flagship Galaxy S series is known to hold the best of the most innovative features in the smartphone world from the curved screen to the infinity-O screen. It confidently stands as the number one Android smartphone series in the world, delivering to its customers the best of technology. The Samsung S6 was launched in March 2015, alongside the S6 Edge. Standing at the beginning of the long line of structurally amazing smartphones, the S6 holds a revamped structure with metal unibody frame and gorilla glass 4 backing instead of the usual plastic. The corners are slightly rounded and curved to give you a perfectly sleek look. To ensure durability, the front is protected with the corning gorilla glass 4, that keeps scratches away. The 5.1” size allows of perfect portability of the phone, fitting well in your hands and pockets. The screen houses a Super AMOLED display with an impressive 2560*1440 pixels and 577 pixels per inch resolution, allowing you to enjoy the best of views on your phone. Known to give one of the best phone cameras, Samsung features the S6 with a 16MP lens and an f1.9 focus for its rear camera. This camera is designed to take crystal clear and well-illuminated pictures in dim lights. The intuitive cameras have been designed to launch in a split second with double tapping the home button. For selfie lovers, enjoy the best of the 5MP front-facing camera with a 120-degree wide selfie angle that allows you to capture as many people in your photo as possible. With the super-bright lens and auto real-time HDR on the selfie camera, your photos will brim with life. Equipped with the personalized 64-bit, Octa-core Exynos processor, the smartphone offers you high performance and multi-tasking abilities. You can enjoy your 3D gaming or heavyweight multitasking without falling short on performance. The phone runs on 3GB RAM with the option of the 32GB/64GB/128GB internal storage. This wide storage capacity is to compensate for the absent external SDcard compatibility. Its non-removable 2550mAh battery allows you to enjoy the best of your day on your phone without the thought of recharging. Designed to support Qi and Powemat wireless charging as well as quick charging, you get to recharge your phone in a little over an hour. When you need to serve battery, the customized ultra power saving mode allows you to conserve power. It features a better fingerprint sensor built into the home button and includes the new mobile payment service, Samsung Pay, that allows you to pay with your phone at nearly all credit card terminals. With the other amazing apps like the Samsung health, Knox, S voice and much more, you can be sure to get the best of the Samsung world. 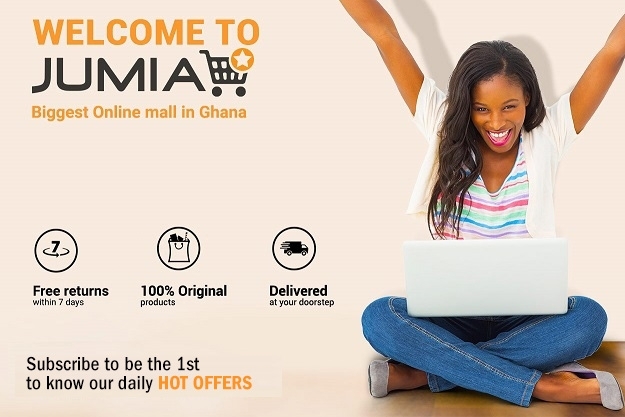 Looking out to get the best of mobile technology in your palms all at affordable prices, Jumia Ghana is your main plug. Get your preferred colour and specification of Samsung S6 and all other accessories needed to get your smartphone journey going.